Did you know that 30-40% of food in the US is wasted, or that reducing the amount of food waste sent to the landfill results in both water and energy savings? Check out this episode on Food Waste by Curiosity Quest to learn all about the food industry and how waste is managed! 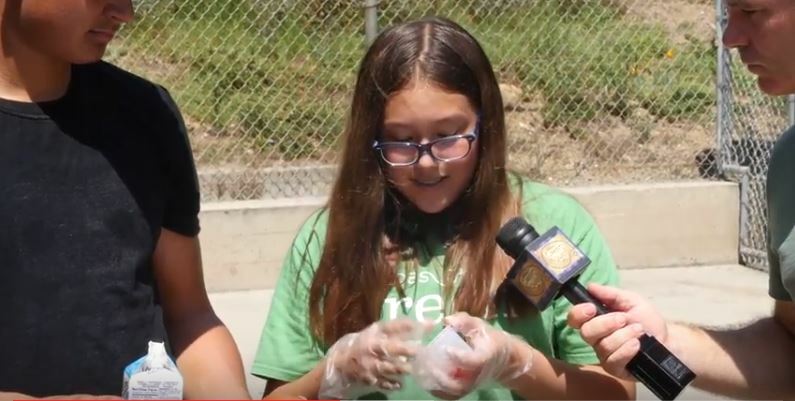 The episode features Grades of Green Eco-Leaders and waste sorting experts Ashely, Tiana, and Audrey from Macy Intermediate in Monterey Park. Grades of Green communities like the city of Manhattan Beach are also featured! Interested in reducing food waste in your school or community? Email [email protected] for information on our Spring 2018 Waste Campaign!